Thanks for checking out this sneak preview of the course – Workplace Bullying for HR Professionals. . This is video 2 – Cost and Liabilities Associated with Workplace Bullying. This 6 hour course is designed for HR professionals. If you are looking for HR ce, this is an excellent course because it will provide you with the HR Management skills to successfully tackle hostile work environments. 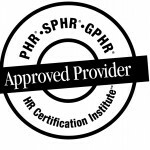 This program is approved for 6 (General ) recertification credit hours toward PHR, SPHR and GPHR recertification through the HR Certification Institute. Workplace bullying is a real problem. It is costly and it is directly related to school bullying. If we are going to stop bullying, we need to educate as many people as possible on what actually works to get bullies to stop. By encouraging HR professionals to take this course, you are not only helping them to earn credits towards maintaining their professional certification, you are also helping to educate them on anti-bullying tactics that actually work. They can use this information to not only help victims in the workplace, but with their kids and the young people in their lives as well. Every kid who is taught this is one less kid who will be bullied. It’s worth it. Please share this and spread the word.